TMJ is a disorder of the muscles of mastication or chewing, the TMJ joints and the associated structures of TMJ. TMJ stands for temporomandibular disorder. 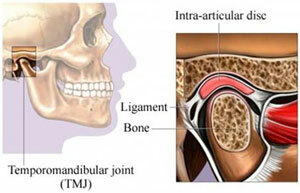 The TMJ joint has two components that contribute to some rotation and glide between bones of the jaw. Between these bones are little meniscus or articulating discs that provide a gliding surface for the bones. If you have any questions about TMJ contact our staff at Dynamic Physiotherapy. This depends on your individual insurance plan through your employer. Most insurance coverages cover 100% (although some cover 80% or 90%). Most plans usually have a limit per year. When you book an appointment we can help by calling your insurance to check the coverage of your plan.